alaTest ha raccolto ed analizzato 84 recensioni su Remington MS 2491 Microscreen Ultra. La media della valutazione per questo prodotto è 4.2/5, confrontata con la media della valutazione di 4.3/5 per altri prodotti. Abbiamo analizzato differenti valutazioni di esperti ed utenti, età del prodotto ed altri elementi. A confronto con altri prodotti, Remington MS 2491 Microscreen Ultra ha ottenuto un alaScore™ complessivo di 82/100 = qualità Molto buono. Great shaver that I've had before and glad to see it's still in the range after all these years. Reserved online and collected instore using a credit card in the kiosk - really quick! Bought for my father who is in his nineties and can't see to shave. He has found this very good, easy to use and gives him a nice clean shave. Easy to charge. Very good value for money. I bought this as it wasn't much more expensive than just a set of new cutters and foils for my Philishave equivalent, plus Remington spare cutters and foils seem the most reasonably priced around. Bought for son as his first shaver. He is very pleased, does a good job, not to heavy or fiddly to hold. easy to hold, and handle whilst shaving, lovely clean shave, with excellent side board cutters. i have had the rest, now got the best. The first shaver purchased from Croydon had to be returned to Epsom branch and swapped for another due to stop / start switch being faulty and not staying on. Hey even Rolls Royce's break down. Staff at each shop more than helpfull. 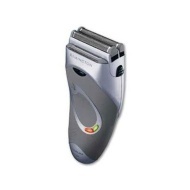 very pleased with this shaver,excellent buy..
Price range OK,Does the job I wanted it for.